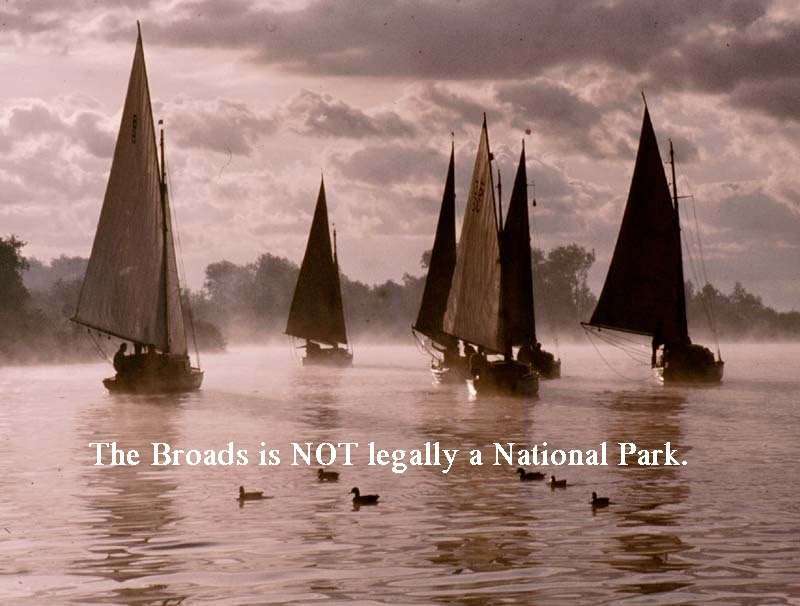 Could this be because The Broads is not a National Park? 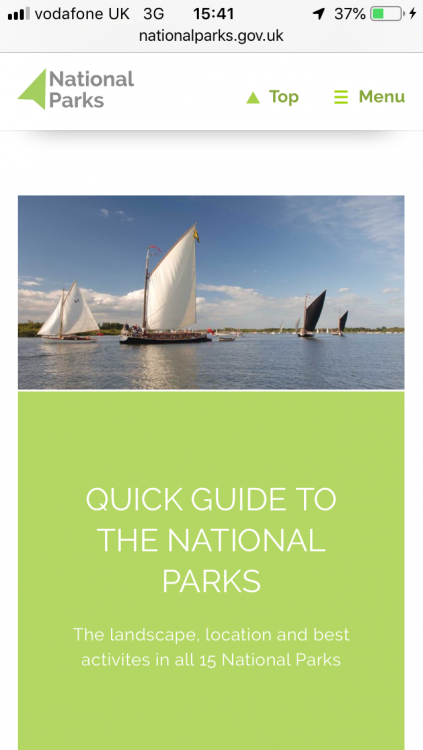 Seems even the exercise to market The Broads as a National Park is also a failure! With the exception of The New Forest all the others offer high dramatic scenery which conjurers up a NP to a lot of folk. 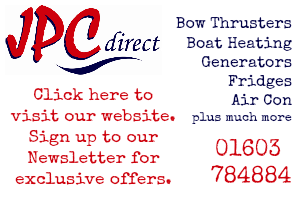 In truth if you are not afloat The Broads does not offer a lot when compared to the market leaders especially for those seeking proper activity holidays. But that's soon to be rectified with the addition of the Acle erection! I'm sure when Dr Pikeman's cenotaph is in place the Broads will shoot up the list as visitors flock to Acle in their thousands to behold it. Isn't it time BA stopped wasting the licence payers money on silly flags and all the rest of the b******t that goes with calling The Broads exactly what it is not? As for having an erection at Acle, why? There are enough information centres already on the Broads and they are usually empty of tourists most of the time. This is another case of jobs for the boys and quite unnecessary. Perhaps we should be thinking of saving money and closing down information centres and putting the money saved into dredging, maintenance and perhaps knocking a few bob off licence fees. It would be interesting to see a balance sheet regarding the cost and income of a visitor centre and a head count of the visitors. It could be handy, especially since the toilets at Acle have been closed for a while. 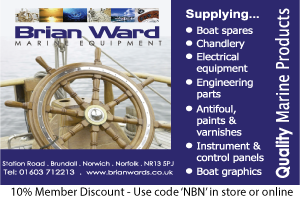 To be honest, your really only going to visit the broads if your interested in messing about on the water. 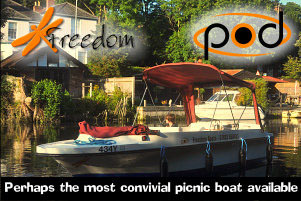 The only way to see the beauty of the Broads is really by boat or something that floats. Birdwatching, cycling, fishing and walking are at best a small number of the total users. That's why I think the broads are a rubbish national park due to the fact that there is only one effective way of seeing them. And that last paragraph could be the death of the place as we know it as less people bond with the broads and really could not care less. This must be damaging for Dr P’s Acle eyesore campaign! Interestingly the BA are organising a series of workshops in order replace the Broads Forum. Not a political statement, just one of fact. The first workshop is on the question of 'access' which seems reasonable enough. As it is I have my own thoughts on that topic but nevertheless it is one that needs discussing. For a kick off, and this applies both to national parks and faux one too, at what point does excessive access lead to the destruction of what is being accessed? 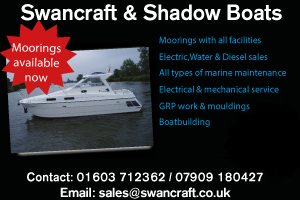 Horning, for example, is rammed but the footpaths and marshes are not, so we need both access and reason to visit the Broads away from the water's edge. However, the Broads Authority's legislative area is pretty limited, much of what is attractive in the area is outside the BA's remit. The Upper Waveney, if you know where to look, is incredibly beautiful, but it is outside the formal Broads area and therefor outside the area of the mythical national park, the BNP. 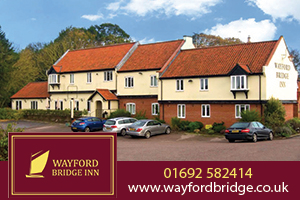 It is well worth visiting the Waveney Valley, as is North Norfolk, also well outside the BNP. In a nutshell I don't see a way forward, not unless East Anglia proper resorts to just one all embracing tourist authority rather than the confusion and mess of competing authorities that we have now and I don't see that happening. As it is, in my opinion, the unfortunate BNP tag is leading to both identity and marketing confusion. On top of that the BA is not a tourist authority. The Doctor might say that it is the justification , well, he would! Reading this thread there seems to be an overwhelming view that the Broads is rubbish and of very little interest to anybody other than boaters. The area is charming, welcoming to boaters, anglers, cyclists, canoists, bird watchers, ramblers, people who like to sit by the water watching the world go by etc. etc. .... I could go on but I find the constant moaning about almost everything very depressing. It's been asked elsewhere and is worth asking here, 'what do people expect of a national park?' The next question being 'does the Broads meet that expectation?' I also wonder what were the thoughts of those 12% who visited the mythical BNP and whether they will return or not. How do they count the number of visitors? Do they include visitors to Norwich? 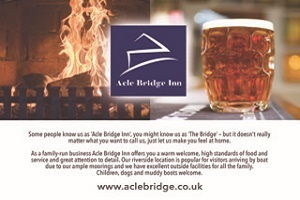 Are locals that visit a Broadland pub included? I'm sure there's a tried and tested method but I can't imagine how it's done. the BA is not a tourist authority. Shhhh! Don't tell Dr Pacman. Perhaps the Blessed Authority employ members of staff to stand on the southern bypass and count everyone who passes the brown tourist signs. Come to think about it, I have seen an increase in people in yellow jackets by the side of the road recently. Like you Mr Smelly I find it extraordinary that this "thing" with the BA leads people to talk down The Broads. Very odd, since the whole point is, The Broads are lovely and worth fighting for. Hang on, I see now, you ARE right. Its a nightmare, a dump, I'm looking out the window and I can see starving people run aground through not being able to find a mooring and literally choking to death on the idea that it is/isnt might/might not be a National Park. Others are being air ambulanced out after seeing pictures of the Acle Visitor Centre and having a fit of the vapours so bad they literally lost their minds. Go home and leave it to me. It may only be me but I cant see posters talking down the Broads its just reads that the general opinion seems to be that the Broads are probably best enjoyed by river users, not much wrong in that? What would be interesting would be to know how many of the 12% visited the Broads for the sole reason of a boating holiday and how many didnt use the Waterways at all. I am not talking down The Broads, I don't think others are. I love Broadland and North Norfolk otherwise I would have not come to live here. The truth is you need to be afloat to appreciate them, that is a fact. Drive over Honister and gaze down on Buttermere. Scale Helvellyn via Striding Edge. Drive down the Llanberris Pass and walk up Snowdon on a clear day with Anglesey below and the Mountains of Mourne visible on the horizon even the views of the seven sisters in another less visited NP and looking down on the Arun Valley from Bury Hill on the South Downs Way. I am sorry but those are the views and experiences I associate with a NP. It is the flatness of the landscape with large skies & horizons, the wetlands & marshes & wonderful coastlines that make Broadland and the area I know and love special. Sadly we have no mountains (unless you count Kett's hill) from which to look down on the landscape but you can always climb Ranworth church tower or a windmill to enjoy such views. I suspect the ethos of the NP is to embrace a variety of landscapes. Although there are fewer riverside areas for non-boaters to enjoy than I would like there are still many accessible places available. Other park's it's all around you, then you do other things in addition to that, you go for a walk, drive, horse ride and the like. You rock up at Wroxham, see a section of river, boats then, well that's it. Acle, the same. Most won't travel a great distance to have a pub meal. Go for a walk, reeds one side normal farm land the other. Don't get me wrong, I love it. But I'm connected by my love of boating but I know others it just won't appeal in mass way like the lake district. And the only way to see the Broads is really by boat and for long term appeal this has to be made more accessible. This lovely bit of the world needs to be protected but trust me, without mass public support it will be chipped away as pressure comes on the public purse. I see it as a double edged sword you need public support but you don't want to spoil it. As an aside, EU rules help protect the Broads as a back stop, if we leave completely we are at the feet of whatever government rules they feel applicable at the time. I like that picture too, but then I like both the Broads & the Wherries, but for all that I don't see it as being representative of a national park as such. My guess is that Dr P has been working hard within the corridors of National Parks House! Have to go along with Chris on this one. In the meantime another Broads picture, just to add a tad of balance to the debate you understand! The Broads is very popular, all the figures I can find indicate a general growth in visitor numbers. But carry on trying to prove there’s a big problem if that fits your agenda. We have just received a number of indicators that show tourism in the Broads is doing well but has the potential to do better. The latest economic analysis for the area shows that tourism in 2017 was worth £606 million to the wider Broads area and employed over 7,200 people. While spending rose between 2016-17 by just 2% in that wider area, within the National Park boundary it grew by over 5% along with a similar figure for boating activity. Day visitors increased while staying visitors decreased. 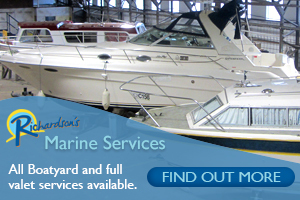 The fine summer has evidently helped the hire boat industry and our income this year from hire boats is above our projections with the number of hired motor cruisers just creeping back above the 800 figure. I note that Day visitors increased, but staying visitors decreased. Is that because for a longer stay you need to be able to view it by boat. I'm assuming the "staying" figures means shore based accommodation as opposed to boat hire?